For stroke sufferers, different degrees of lower limb paralysis usually occur during the rehabilitation process. In this process, traction training of the lower limbs is very important, which contributes to good joint activities, relieves spasms, and promotes recovery of motor function. However, passive traction of the lower limbs often makes the patient's pain unbearable. 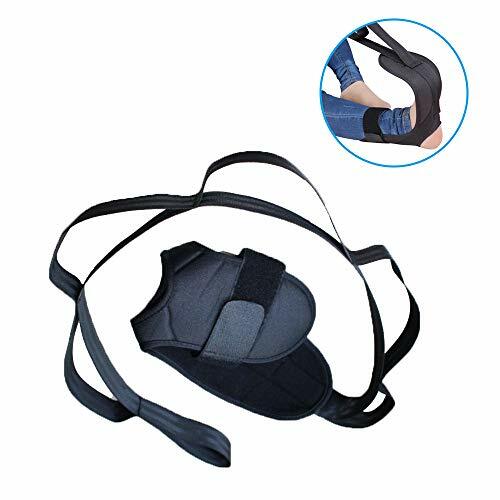 Our ligament stretch band allows the patient to pull on their own, and the strength can be mastered by themselves, step by step, and speed up the recovery period. Rehabilitation patients have low levels of muscle strength in the early stage, and can't resist the strength of the limbs during strength training. It is necessary to use external force or weight loss to train. Patients can use ankle ligament strap to achieve the goal of rehabilitation for active training. Kinsman Leg Lifter Small - Rainbow Polyester 35"